Whoa, That’s a lott’a love! I guess it’s quite likely that you will be impressed by my results too …right? You should take the leap and find out. Thanks so much Shona for all of your assistance with both sites. I am super happy with them! You made the process easy and pain free, I really appreciate your amazing level of customer service. Can’t wait to start making up business cards with your design!!! We received the delivery of our business cards early this week – they are perfect! Thank you for such prompt service and delivery. I knew that you were our woman to get this done and I cannot find fault with them. In terms of the colour, I think I prefer it!! Thank you so much Shona and we will have more work to come to you shortly. Shona recently designed my logo and business cards, which I LOVE!!!!! She fully understood my brief and nailed the design first time. She also made the process so simple and fun :). I would not hesitate to recommend Shona – absolutely 5 star!! I will be back soon for my website design. Shona is always enthusiastic about the work that she creates for me. I enjoy working with Shona because she is so efficient and really understands what we need. Hey Shona, thanks for everything you do for us! We have used Shona for websites, logos, email hosting for years and she is so efficient and reliable! We highly recommend her to anyone thinking of using her for their business! Shona was excellent and very friendly to deal with. She nailed the design first up and I really liked how she explained why and what with the design. Love it! Thank you. I would certainly recommend you use her. A big thanks for all your efforts. I’m extremely happy with everything you’ve done for me. The whole exercise has been painless. There will be more to do in the future and I will definitely be back in contact. I don’t usually do these but this woman has been all class over a long period of time. Shona has been like a silent business partner to me! I didn’t have much idea re: commencing a business, computers/technology, marketing etc but she has been so patient, kind, giving and helpful that I am ready to launch with a new website, logo, business cards and flyers. If it weren’t for her my business idea would never have become a reality. I have used Shona’s design services twice now and have been very happy. She is creative and efficient, and great to deal with. I have beautiful business cards that I love handing out, and have just ordered my new shop sign and door sticker. So exciting! Shona’s kind-heart and enthusiasm shine through initial e-mails to the design and beyond. Shona went above and beyond helping me find the right logo for Social Nature and I highly recommend her, for her heart as well as professionalism and creativity, and I am so happy with the finished project, I still smiling looking at my logo and I cannot wait to use it. You won’t go wrong with Shona Creative. Thank you very much, it is a pleasure. Wonderful, personal service from Shona along with fabulous design. Thankyou! Shona took on a conceptual design concept for a series of information and working documents we needed. She took the time to understand what we wanted and responded quickly and accurately to our feedback as we progressed. The end result is something we just love! Very happy with Shona’s positive creative inspiration. Nothing is too much trouble for Shona. She is open to helping & making her designs the best for the individual… I would highly reccomend her to others. Thanks Again Shona. Shona was a dream to work with. She has a very personal approach while still maintaining an excellent level of professionalism. I had an idea of the logo I wanted in my head and she was able to capture just what I had in mind. I highly recommend Shona and I hope to work with her on further projects in the future. I have worked with Shona over several weeks, now, and have been extremely pleased with her service and results. I particularly like her positive attitude and her prompt responses to my queries. Thanks for everything, Shona! Shona is an absolute delight to work with. Very amicable yet professional, she gives every job 110%. I would recommend her to anyone who’s looking for a creative job (be it a logo, an ad, etc) done well & to your satisfaction, with every minute detail attended to. Thank you so much Shona for my fantastic logo for my business! You have created something that suits my business perfectly and I couldn’t be happier! Your fast, efficient and helpfulness in making decisions can’t be beaten! Can’t wait to start building my website with you! I wanted to surprise my partner with a useful Christmas gift that captured his business as a portfolio book, which could be used in presentation to prospective builders. Shona’s efficient email responses and grasp on my intention, made this a peaceful and simple process. I am extremely impressed with the outcome and will definitely continue to work with Shona on developing our small businesses further! Many Thanks, Kristy & Haydn. I found Shona’s website following an internet search. I had not heard anything about her work but was very impressed with the recommendations on the website so decided to discuss a logo design with her. The development of this was not easy as there were many elements we wanted captured and reflected in the design for our new business. However Shona was incredibly patient throughout this process. Her responsiveness to emails was also second to none. We are so pleased with the end result and feel that we can start our new venture with confidence. We will certainly be discussing further work with Shona and would recommend her to anyone looking for a professional, creative and responsive graphic designer. I hunted for a designer far and wide and nearly commissioned another group, when at the last minute, came across Shona’s website. Thank goodness that I did. My new logo and label designs have exceeded my expectations and I feel lucky to have found you Shona. You have created the identity for my new business and I couldn’t be happier. I appreciate your professional and considered approach and the style and elegance you have given to my new business. We engaged Shona after a recommendation from a previous client. Having now seen her professionalism, responsiveness and results, we will be happy to pass on that recommendation to others. Great work. Very impressed. I have used Shona to design my company logo, signage, website, business cards, treatment menus, flyers and more. I have worked with many designers before and Shona is the best I have ever dealt with. Friendly/personalised communication, timely response to requests and of course – fantastic design. I cannot recommend her services highly enough. Keep up the great work! Shona is so professional, deals with all matters instantly, replies to all emails and various website requests promptly. I would have no hesitation in recommending Shona’s services, which I already have to several friends needing a website. Thanks again for a job well done Shona!! I really want to thank you for your outstanding service. Shona Maitland is a rare find because every aspect of working with her was an absolute joy. She has amazing graphic design skills but she’s also professional, friendly, competitively-priced, responsive and relaxed. Added to this, she is a genuinely warm and wonderful person with a beautiful heart (yes I did surgery on her, it was messy but rewarding). Although Shona was working with my existing branding, she still took the time to really get to know my business, and she was always so generous with her time and wisdom. I can see myself working with Shona over and over and over again. My fear is that she’ll get too busy to work with me, so please cancel everything I’ve just said… she’s awful. She says mean things about kittens and I’m pretty sure she’s 3% cyborg. After working with her, she tattooed her business details onto my chin, all the while spreading vicious lies about ponies. If you like kittens and ponies and your chin, I wouldn’t work with her. Looking forward to working with you again, Shona! Shona, the difference you make is nothing short of legendary! I am so grateful for your skills, flexibility, options, and creative designs. I couldn’t have done it without you. I appreciate your penetrating questions; I respect the depth of your knowledge. You have redefined the term ‘Simple Elegance’; I treasure your creative views and thank you for keeping the momentum going! Shona has managed to produce professional products through our scatterbrained ideas! It’s good to have someone who can see clearly and deveolp the products that suit our needs without us knowing what we need! Shona never ceases to impress me. 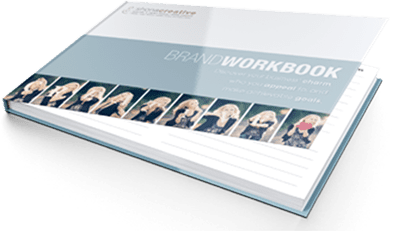 Whatever I throw at her – be it a magazine ad, brochure design, or everything inbetween – she goes above and beyond to deliver a fantastic result. An excellent, professional job, completed in record time with super prompt responses to e-mails. We will definitely be bringing you more work in future. Thankyou so much! Thanks for a job well done and in super quick time. It took you into an unknown realm, but you came up with the goods to perfection. I am stunned by Shona’s efficiency and enthusiasm – nothing is too much trouble. Shona is so easy to work with and comes up with great ideas. Thanks Shona! Shona’s work with font is AMAZING! Her vision and guidance for my logo design was second to none. The brief was professional and bold yet friendly and approachable…and the result a classy logo with a REAL approachable style. Love love love my logo and people consistently compliment it. I just wanted to say a quick thank you for the website updates. It all looks fantastic :-) I say it all the time, but we really love dealing with you, thank you again. Shona was an absolute pleasure to work with, explained things very well and happy to provide feedback whenever asked. If you’re looking for someone to go that extra mile for you whilst also creating you a great logo then I can highly recommend Shona! Shona has been an incredibly helpful and patient person to work with, great communication and helpful advice. I’d definitely work with her again! Shona has been awesome. Her designs are elegant and stylish – I couldn’t be happier. She is a fantastic person to work with and so patient and flexible with my ever-changing requirements. I will be recommending her to my friends. Professional, very good at what she does, and patient with me as well. Lovely combination in a graphic artist. Very happy with the work Shona has done on my Facebook Page and Flyers. Thanks so much for the excellent website and I will be sure to use your name to any centres I visit who don’t have a website! We can’t thank Shona enough for all the graphic design work that she contributes to our community organistation, Creative Berowra. She attends to our last minute needs immediately, copes with working with multiple decision makers and always produces a great product that incorporates our ideas lashed with her superb creative talents. All with a (cyber) smile on her face. We recommend Shona Creative with 5 stars. The postcards arrived yesterday and they look fabulous! Thanks so much for your effort. I’m sure your eye catching design will have the phone ringing. Dear Shona, I received my beautiful business cards on Friday. The cards are beautiful and I feel both happy with them and proud to hand them out as carrying some symbolism of me and my work… So thank you Shona for all your hard work and creative genius! I love love love it! Its cute, colorful and funky and this is why you use a professional such as your self and I love them they are perfect thank-you. THANK YOU SO MUCH for doing such a sensational job in designing my business cards. I received them today & they are absolutely perfect. I will be coming back for more for sure. THANK YOU AGAIN you guys ROCK! Looking good – Getting lots of compliments. Good job. YAY!!!! I think it’s perfect. Thankyou so much. I love it love it love it. Thanks Shona for everything. I’m very happy with the end result. Dear Shona, In the past six months you have quite literally “made” my business. From nothing but a vague idea in an email, Musical Functions now has a tangible look and feel that is fresh, original and visually stunning. Most importantly, my customers love it and the business is rolling in. Because of you my small business has a logo, a business card, some flyers, a big sign for my expos, a facebook, youtube and twitter landing page, an interactive web site…the list goes on. The best way I can think of thanking you aside from this will be the continued business that I will refer your way! We were looking for that wow factor for our website. After just a few ideas and things we discussed Shona was able to give us just that and more. Have a look for yourself. Thanks Shona! Wow! This looks beautiful! Nicely done. Thanks Shona! Looks great! Think that could be it!! Awesome Shona, thank you very much! Shona’s understanding of my vision, attention to detail, consistency, professionalism and creativity helped me move from ‘having a few ideas’ to the end product of a business card that I really love, which captures me and my work beautifully. Shona is a dream to work with. Her energy and enthusiasm never faults. Even when I needed an 8 page brochure for a New York showcase within 4 days, Shona rose to the challenge like a true champion. I am very happy with the brochure, business card revamp, jewellery tags, and website banner and header that she has designed for me. Working on 2 different time zones is never easy and Shona is just as bubbly and professional during these early morning and late night chats which is both charming and a pleasure. She manages to understand my needs and has great ideas in creating marketing that is both elegant and sophisticated. A top job and faster than any other graphics company I have worked with. I highly recommend her to anyone locally or worldwide. Working with Shona has been one of the most enjoyable client experiences I have ever had. She is patient, positive, professional and above all passionate about the quality of her work and her customer service. I would absolutely recommend Shona to anyone who requires anything from a book cover, to a great website. She is an amazing person and I always felt she was as committed to making my project a success as I was. Thank you so much for all your support, attention to detail and beautiful design work. Thanks heaps Shona!! Your work over the last week has been spectacular and I don’t know how we could have got this far using someone else. They really look great. It will be nice to see all members wear them to our events. Love your work! Shona, you have taken our broad concepts and with your passion for design, knowledge and skills have made it a reality. It’s like you were inside our minds and made it better than we could have imagined. Your service delivery and managing our specific needs is fabulous. Our project timelines are on track with your speedy turn around and perfectly accurate detail. You are making my mockups into great ads and I really appreciate your expertise and the sense of sophistication they bring in building our company image. Love your work! is genuinely interested in the success of my business in such a sincere and friendly manner. You have created my perfect website – I absolutely love it! its so great to see an image in your head and then have it created! It has the exact relaxed and feminine feel I was after- you’re a genius! and your quick turn-around time. I will be sure I remember you next time I need a job like this. Thanks so much Shona, we love the business cards they look so professional. You are awesome, of course your design is excellent – we will definitely be going with that!!!!! You are the best!!!!! THANKS HEAPS!!!!!!! Shona went above and beyond to make things happen, and ensure a smooth transition of hosts. She is professional, friendly and helpful, and gets the job done. Shona, was great to work with. She was very quick in her responses and always understood exactly what I needed. Our finished projects look fantastic and I look forward to working with Shona again. and of course, an amazing final product. Thank you Shona! I have been impressed time and again with each of Shona’s concepts. Her work is fabulous, and conveys exactly what I have envisaged for my brand. Highly recommended. Shona – a huge thank you for just making it easy! You are a pleasure to work with. Love your creativity, your customer service, your turn around times and your professionalism. Thank you! Thank you! I’m blown away with how helpful Shona is with designing my website and all the little details such as domain names, marketing and business presentation. She is professional, generous with her time, knowledge and skills. She also understands how important it is to have the most perfect image for a business and she respects that it is a personal thing for her clients. It is her personal touch that comes from her passion for design that makes all the difference! Shona Creative is my answer to all my back end web development issues. Her service stretches beyond its means & is always friendly & professional. Shona is fantastic, Great customer service, super efficient & really easy to work with. I love my website and I LOVE my business cards, they look so classy and of very high quality, Thank you so much for all your work! Thank you! Your logos and other works are quality stuff. Good job! With the dizzying barrage of cluttered and image-happy web designs these days, yours’ is a welcome relief. It’s pretty straightforward, user-friendly yet still has that elegant and classy feel. Looking Good! Looking really bloody good. Your research on the names of the sails is 100% bang on. The spinnaker looks fan-fricking-tastic!!!! I’m also loving the shadow underneath. That is really cool what you’ve done – going down exactly the right path!!!!!!! Which charity would you like your invoice to contribute to?